DETROIT -- BMW topped Mercedes-Benz in U.S. luxury sales during November and widened its lead over its German rival for the year. Sales at BMW AG’s namesake brand in November rose 3.2 percent to 32,003, as deliveries of the X3 sport utility vehicle more than doubled. 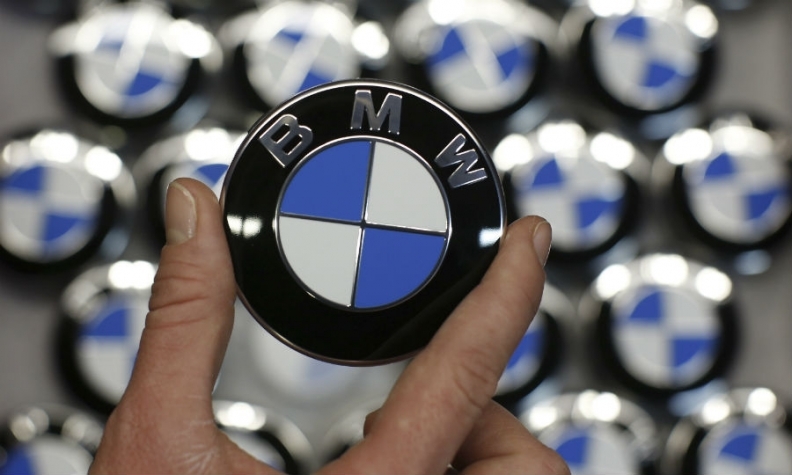 For the year, BMW's U.S. sales grew 4.4 percent to 311,398 vehicles. Mercedes, in its U.S. sales report released today, said November luxury sales fell 13 percent to 30,043 vehicles. For the year, Mercedes' U.S. sales have increased 4 percent to 308,885 vehicles. The results for Mercedes were delayed by a day because of a technical glitch. Lexus remained in a close third, with U.S. sales growing 7 percent to 29,340 vehicles in November. For the year, Lexus sales have surged 12 percent to 303,221 vehicles. Total U.S. sales rose 1.2 percent in November to 1.3 million vehicles. Total year-to-date sales have gained 5 percent to 15.8 million -- about 1.6 million vehicles short of the all-time annual U.S. sales record. Lexus, which hasn’t claimed the annual sales crown since 2010, boosted average incentives 19 percent last month as it started year-end promotions early, according to TrueCar Inc. estimates. The wasn’t enough to gain on BMW, which TrueCar said reduced its spending 3.6 percent from a year earlier, while Mercedes trimmed its discounts 7.4 percent. Lexus still spent less per vehicle than the two rivals. BMW, which won the 2014 title, widened its year-to-date lead over Mercedes to 2,513 vehicles from 555 at the end of October. The November sales increased BMW’s lead over Lexus to more than 8,000. BMW's figures do not include the Mini brand and the Mercedes statistics do not including Sprinter vans because they are not luxury vehicles. Lexus, like luxury competitors, enjoyed a surge in SUV sales in November, but its car deliveries slid 17 percent because models such as the IS sedan have gone too long without being refreshed with new technology, Lyman said. Honda Motor Co.’s Acura luxury unit stayed ahead of General Motors’ Cadillac through November, with 160,342 sales to Cadillac's 154,480. Cadillac narrowed the gap last month with a 1.8 percent gain to 13,390, as Acura’s deliveries fell 10 percent to 12,244. If Acura can maintain its lead for another month, 2015 would be the first year in which the Honda brand would join Lexus in beating the Detroit icons, Cadillac and Lincoln, which popularized the idea of luxury cars in the U.S. a century ago. Cadillac has fallen behind Acura because the GM brand made a strategic decision to end fleet sales and rein in discounts that undermine its premium appeal, Lyman said. A typically equipped Cadillac CTS now costs $60,700, or $13,000 more than in 2013, he said.